There was a point in the football season when the Vikings were the most likely team in the NFL to both reach and win the Super Bowl, so please remember that before we get too carried away. Still, the data here is interesting. There was a point in the NFL season during which the Vikings were the most likely team in the entire league to both reach and win the Super Bowl, so please remember that before we get too carried away with what I’m about to share. Your Minnesota Wild, owing to a tremendously nice first half of the NHL season in which it has racked up 69 points, shows up in the No. 1 spot of Sports Insights’ “most likely teams in the NHL Stanley Cup Finals” list, one which is compiled by looking at betting odds. Capitals-Wild is first on the list, followed closely by Capitals/Blackhawks. And there’s more: the Wild occupies four of the top seven spots, with Columbus (No. 3), Montreal (No. 5) and Pittsburgh (No. 7) as the other opponents. Want a different metric that is even more optimistic about the Wild? Hockey Reference’s playoff probabilities index gives Minnesota a 28.8 percent chance of winning the West. No other team in either conference is given better than a 21.9 percent chance of going to the finals. And the Wild has a 14.9 percent chance of winning it all — best of any team in the league. No other team in the West is above 7 percent. 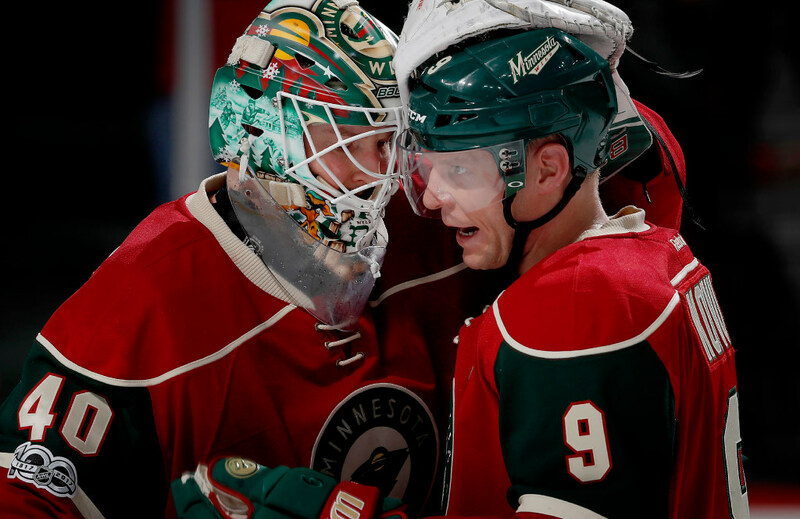 Two of the primary reasons are pictured above: Devan Dubnyk, who has been among the league’s best goalies, and Mikko Koivu, who is a plus-24, has 35 points and has halted all of the ranting about “taking away the C” with his exceptional two-way play. Plenty of things can happen in the next few months, of course (seeing as how, you know, the Vikings didn’t even make the playoffs). But these numbers are at least another reminder of just how good the Wild has been so far. With Bulls in disarray, should Wolves trade for Jimmy Butler? Poll: Who is the Wild's half-season MVP?